Taj has debuted its second hotel in Udaipur, nestled in the foothills of the picturesque Aravali Mountain Range. Taj Aravali Resort & Spa is spread across 27 acres of lush landscaped gardens and offers 92 luxurious rooms, suites and tents with panoramic views of the Aravalis. The design ethos is contemporary with a mix of traditional Rajasthani influences and furnishings inspired by Mewar’s world-class equestrian heritage. Just a two-minute walk from London’s Cannon Street station and Mansion House tube, Vintry & Mercer is located in the historic Vintry Ward, a destination where the Vintry Guild (est. 1363) traded wines and the Mercer Guild (est. 1304) traded in fine fabrics. From barrel-aged cocktails to bespoke fabrics and old trading maps decorating the 92 rooms, hallways and dining spaces, guests will discover references to these historic trades blended with a contemporary edge. Opening its doors in the upmarket Nusa Dua corner of Bali, The Apurva Kempinski Bali presents 475 lavish rooms, suites and villas with a serene beachfront setting. A total of six restaurants, bars and lounges allow guests to soak in the sensational natural setting, with sweeping views and both indoor and outdoor dining venues that celebrate regional flavours. The property cascades down the hillside like one of Bali’s iconic rice paddies, emerging from the cliff tops and gradually making its way down to the Indian Ocean, with designs courtesy of award-winning architect Budiman Hendropurnomo of UK-based Denton Corker Marshall. At the front of the resort, overlooking the ocean, Apurva Spa is a relaxing haven, where body and beauty treatments are inspired by time-honoured Javanese and Balinese wisdom. The philosophy is based on the ancient proverb ‘rupasampat wahyabiantara’: true beauty is achieved when outer beauty is in harmony with inner beauty. Situated by Taling Ngam Bay on Koh Samui’s southwest shore, Avani+ Samui is designed as a seaside hideaway, ideal for couples or families. 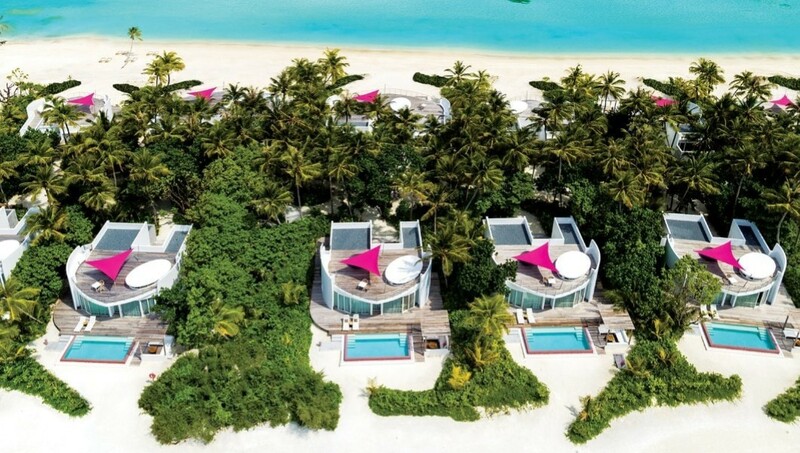 The beach paradise is steps away from an untouched, secluded bay where guests can choose from 25 guest rooms, 27 private pool villas, or six beachfront pool villas. Each is spacious, with nature-inspired interiors and ample natural lighting. Privacy can be found within the villas, where modern amenities are surrounded by verdant gardens with a private pool for the ultimate luxury. For further indulgence, AvaniSPA will offer guests treatments to relax and reinvigorate with the option to be pampered in the privacy of their room or villa. Located in Kuwait’s thriving oil and gas district within the city’s largest waterfront retail and leisure destination, Hyatt Regency Al Kout Mall provides guests with easy access to the shopping centre’s additional offerings including Al Kout Mall, Souq Al Kout, Al Kout Marina, Al Kout Fisherman’s Wharf, and Al Kout seaside promenade. There’s a range of culinary experiences including Andiamo, the hotel’s elegant Italian restaurant, featuring a dynamic open kitchen display and authentic signature dishes. Guests can also refresh and relax over healthy juices and smoothies at the rooftop pool lounge or enjoy a casual meal in The Lobby Lounge. Imagine uninterrupted sea views, dreamy amenities, decadent dining and the glamour of the AWAY Spa – all with the upbeat and funky ethos of the W brand. W Dubai – The Palm is seeking to redefine the city getaway with “sizzling” W Happenings on the WET® deck and SoBe rooftop, and epicurean encounters at celebrity chef restaurants Torno Subito and Akira Back. The island oasis invites guests to get a dose of golden sunshine on the crystalline white sands of the resort’s beach – which is claimed to be the best on the Palm – a playground for water sports with year-round perma sunshine. The latest LUX* opening offers something different in the Maldives with over-sized penthouse residences that demonstrate fresh forward-thinking design. By blending superyacht panache with a South Beach pulse, these standalone stays upstage the traditional thatched villa vibe. Just a short transfer from Male by luxury speedboat or scenic seaplane, the desert island resort may feel remote but is easily accessible. Each of the residences sits right on the beach or over the water with living areas that are at least 350 sqm. The breezy, spacious villas host a choice of spaces in which to eat, drink, relax – from the rooftop relaxing areas to the sun terraces – treating guests to continuous pastel panoramas of the Indian Ocean.